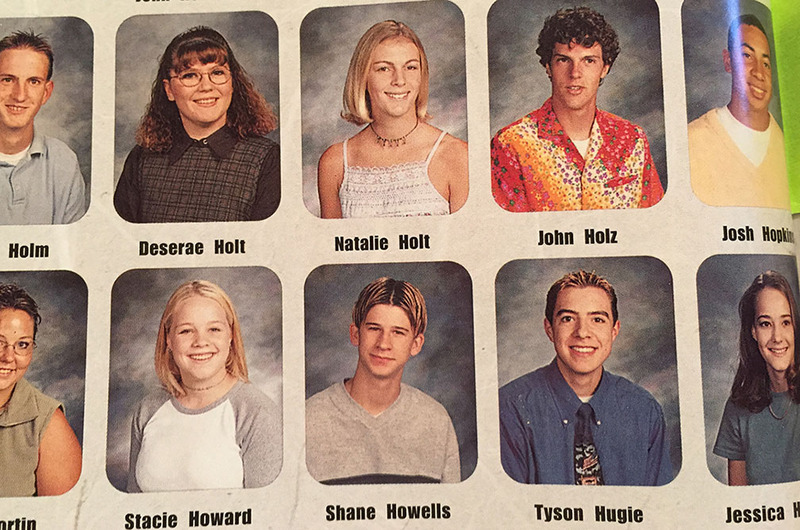 I flipped randomly through the pages of my hardbound high school senior yearbook from 2000 a few minutes ago. 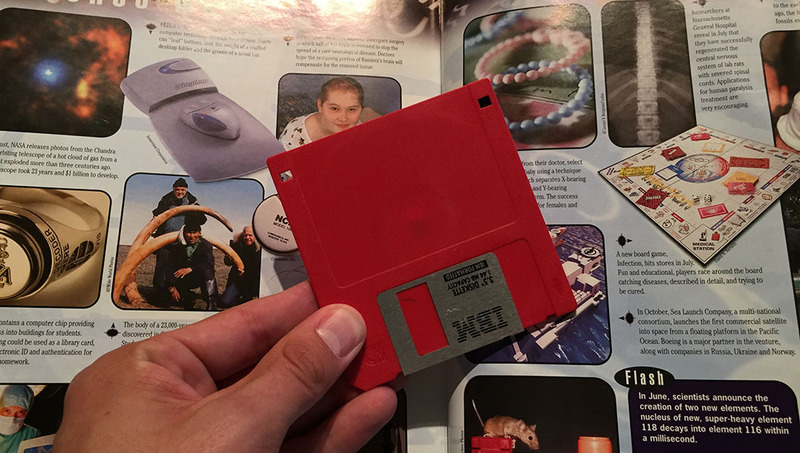 The book fell open to a page with a bright red 3.5″ IBM disk inside (and no label). What’s on that disk? The world may never know, because I have no way of reading it. It was around that time when Sprint announced the first nationwide wireless data service. A web phone – can you imagine? And here probably 75% of you are now reading this blog post via your smart phones. Times have changed. 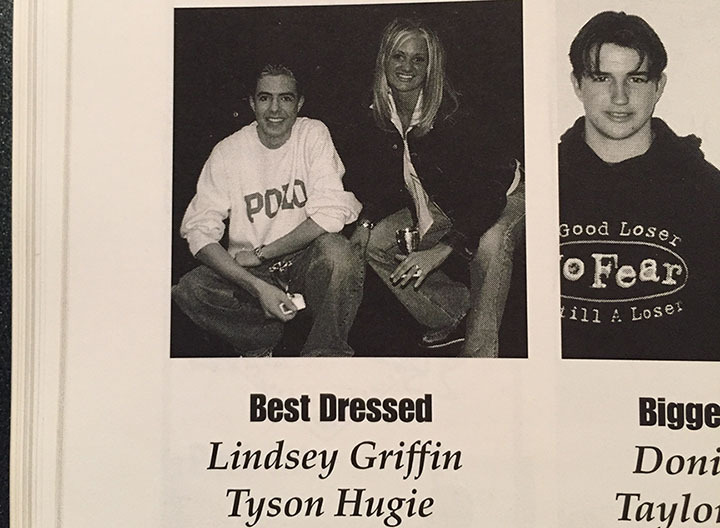 It’s hard to believe a decade and a half have passed since I departed the hallways of Pine View High School in St. George, Utah as a graduating senior. The year 2000 was a pivotal time in our history: the new millennium. Though Y2K turned out to be a lot smaller of a deal than we’d anticipated, it’s still fun to look back and reminisce. And that’s exactly what I did with some classmates this past weekend in my hometown. Who could forget Lou Bega’s “Mambo Number Five” or Sisqo’s “Thong Song“? They’ve been stuck in my head since the late 90’s. I was a bit of a nerd back in those school days. I admit, I was a member of the “Magic Club,” except, we were too cool to even call it the Magic Club. It was the “Illusionists Society.” Seriously. Aside from that, I participated in my share of car club events, Honor Society get togethers, and that sort of thing. I think at the end of it all, I was only a B+ grade away from having a perfect 4.0 GPA and becoming one of our 7 or so valedictorians during commencement. I may never forgive my Chemistry teacher Mr. Page for giving me that B grade. Haha. The one redeeming thing about me during that era was my cool car. I made #6 on the list of the coolest cars at Pine View. My brother made #5. 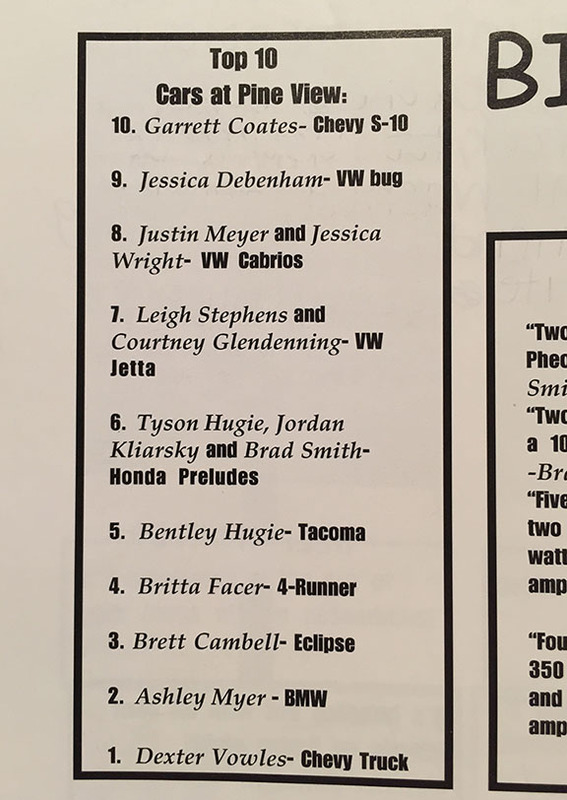 A lot of the messages inscribed by friends on the insides of the cover of my yearbook have “car” references, as it’s a well known fact that even in the late 1990’s I was very obsessed with anything automotive. 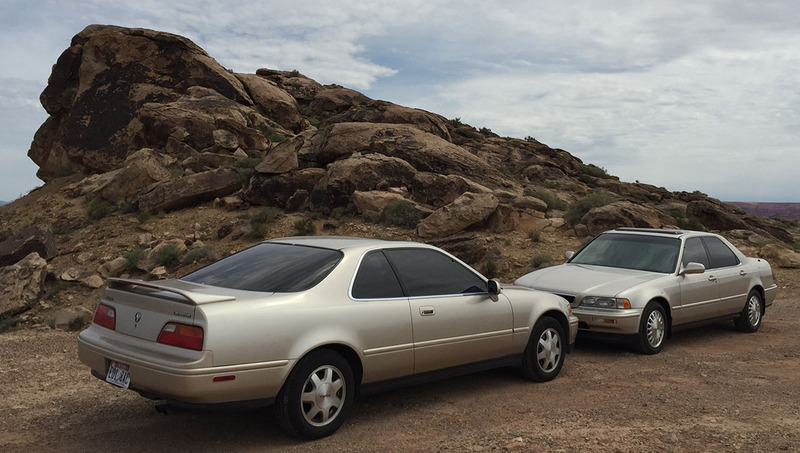 My pride and the joy – as I’ve already well-documented here on the blog – was this 1989 Honda Prelude 2.0 Si. 15 years later, I still have the rear emblem from the trunk lid in a box somewhere. 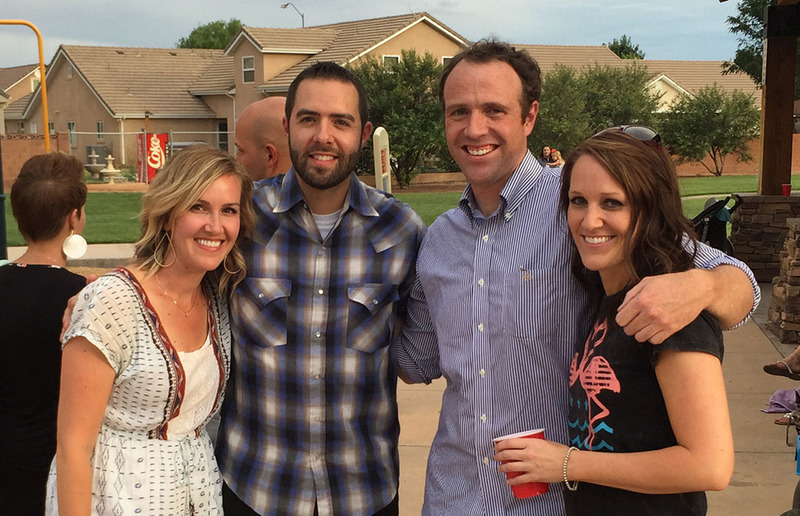 The PVHS Class of 2000’s 15-year reunion festivities were broken into two separate events: A family-friendly BBQ on Friday evening at a park, and an adults-only roller-skating activity on Saturday afternoon. I attended both. 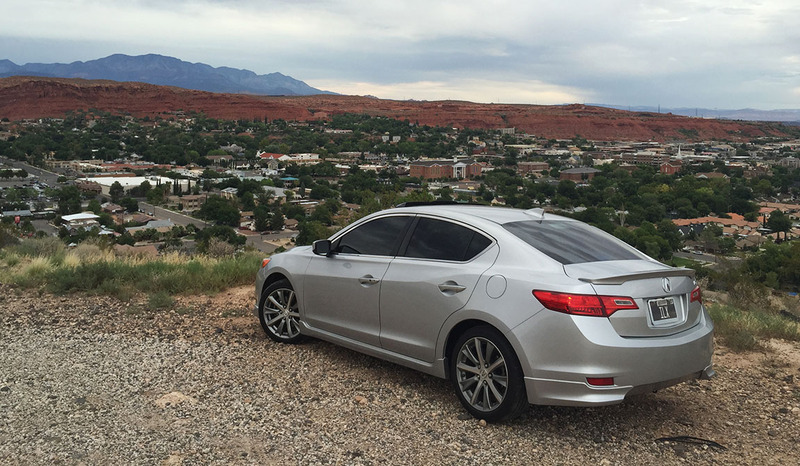 I think my ILX was one of only a few sedans in the parking lot at Pine View Park in Washington, Utah. 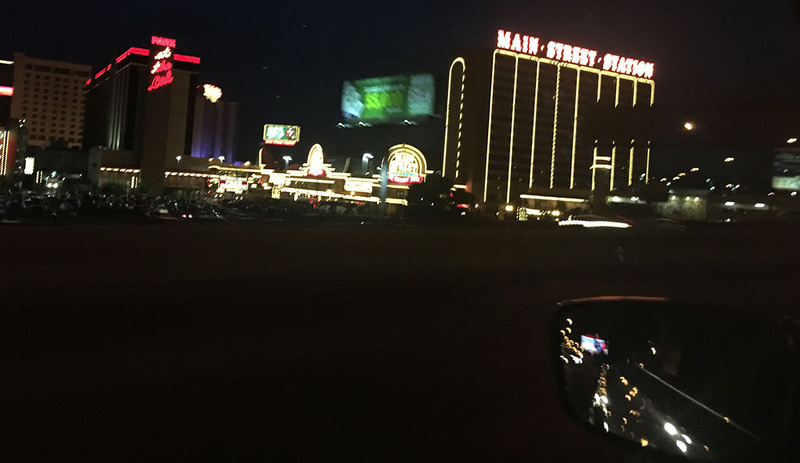 For as far as the eye could see, minivans and SUVs dominated by a long shot. That’s because most of my classmates are on their 3rd or 4th child by now. “I see you’ve been traveling a lot.” “I can’t keep track of you!” Those kinds of comments were recurring themes brought up by classmates in the inevitable Q&A with me that ensued when we started catching up on the 15 years that have passed since I’d last seen some of them. It was great to reconnect, and my hat goes off to Sr. Class President Brad for his diligence in setting up our reunions every 5 years. It wouldn’t be a Tyson Trip if there wasn’t a little bit of ‘car stuff’ sprinkled in to the weekend. 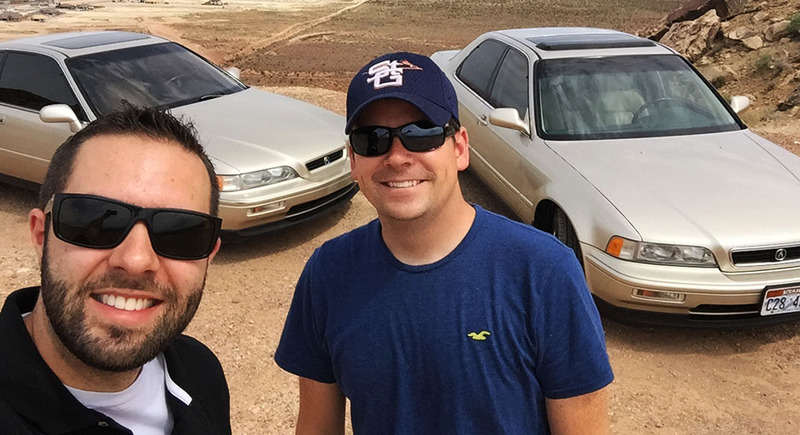 As I’d shared recently on the blog, my younger brother Payton recently picked up a daily-driver 1993 Legend L coupe 6-speed. I swapped him cars for a day just so I could get a feel for it. First stop on Saturday morning was to say hello to Blair who was working in his yard. Blair’s a long-time friend of mine who drives a Kinetic Blue Pearl Acura TL Type-S. I also spent a couple of hours hanging out with my friend Cody who’s a fellow member of the Legend family. 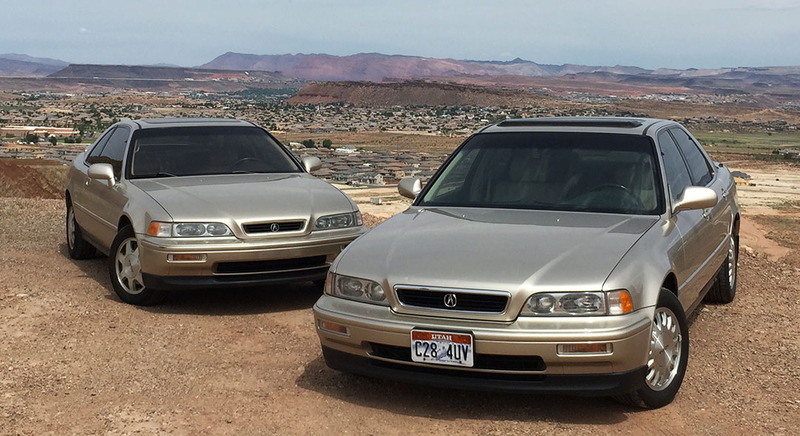 He and I got a few photos together of the “twin” Cashmere Silver Metallic Legends. Both cars in the below photos are 1993 “L” models and stick shifts. The chances of getting these two identically-configured cars together for a photoshoot were just too slim to calculate! The interesting thing about driving these cars back-to-back is just how strikingly different their personalities are despite being nearly identical from the outside. For starters, the powertrains are different. 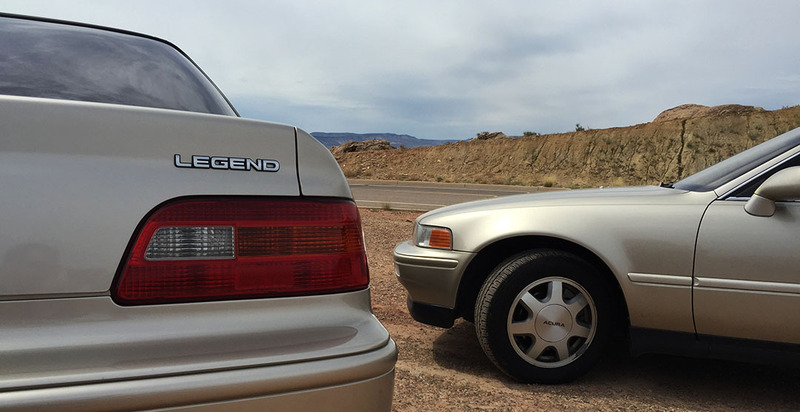 Here are some quick perspectives on each Legend after a quick drive in each. 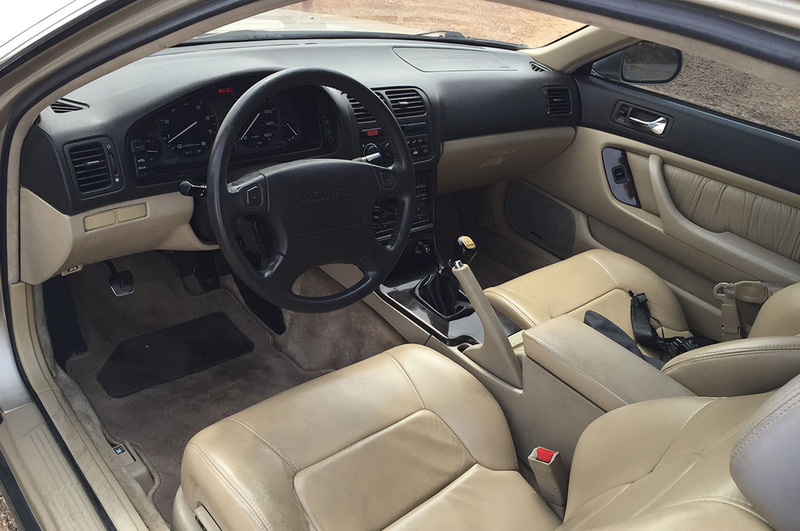 Sedan: 200-horsepower, Type I motor, 5-speed manual transmission. Low-end torque with this setup is plentiful and ready. Cody’s clutch felt light and smooth. 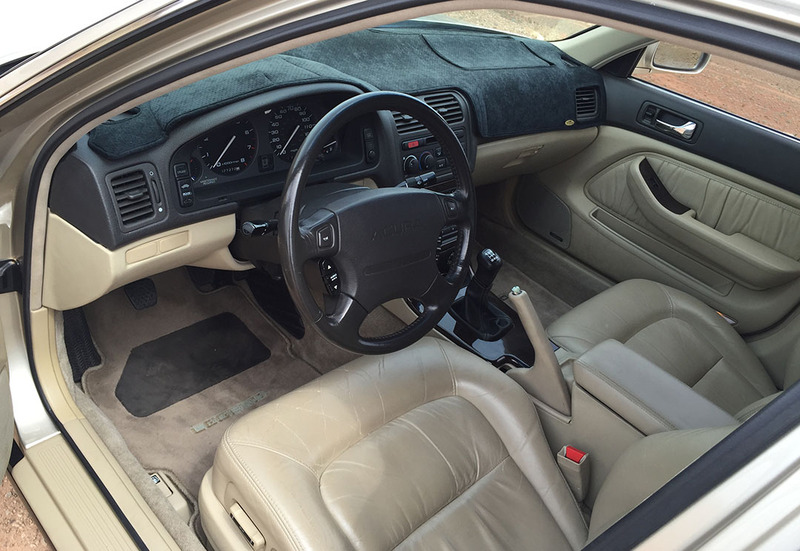 The car revs freely and and cabin exudes a comfortable feel. This cream puff is a step back into 1993, right down to the fresh smelling interior. Coupe: 230-horsepower, Type II motor, 6-speed manual transmission. This is the high-speed highway cruiser. My brother confirmed that it’s capable of hitting 60 mph in 2nd gear. The clutch is aftermarket and a little on the notchy side. The Type II takes awhile to get to optimal rev range. The ride is a little more abrupt and the seat bolsters are designed with more lateral support. 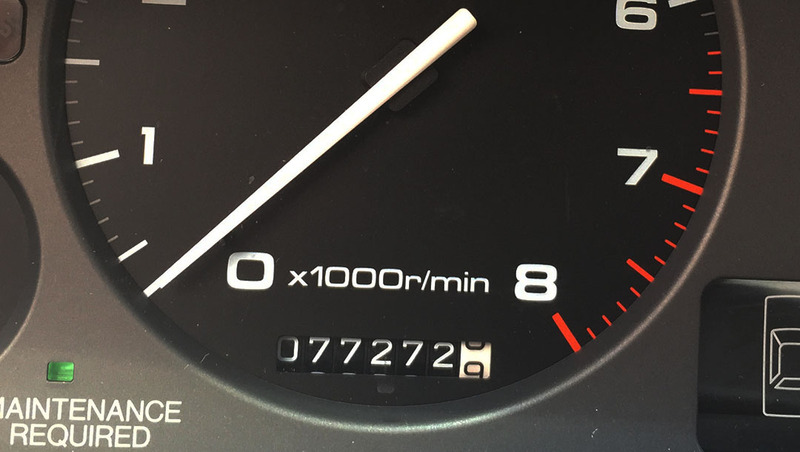 Cody’s sedan has only 77,000 miles on it. Payton’s coupe has 136,000 on it. The last bit of automotive fun that I had on Saturday was a first-ever drive in an automatic transmission Acura NSX. Cody’s neighbor, Nate, owns a Midnight Purple Pearl NSX-T with the 3.0 liter V6 and 4-speed automatic. 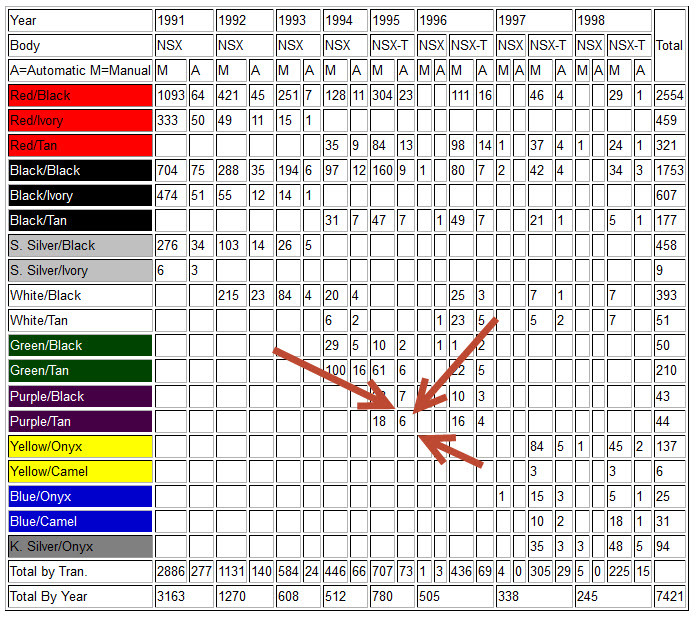 Per the NSX Production Numbers reference sheet on the forums, this car is only 1 of 6 ever produced! For reference, my 1992 Formula Red with black interior 5-speed is 1 of 421 — a lot more common! See the arrows here in my diagram. Overall impressions of Nate’s NSX were very positive — while I’d heard nightmare stories about how Acura had “de-tuned” the powertrain and sacrificed performance in the automatic-equipped models, I still thought it accelerated nicely and I still loved that characteristic growl of the motor from behind the cabin. The shifts were smoother than I’d expected (perhaps because I’m used to the “whiplash” Legend 4-speed automatic of the same era). I didn’t play around with the shift paddle “manual” mode at all – I was too busy enjoying the open-air cruising. 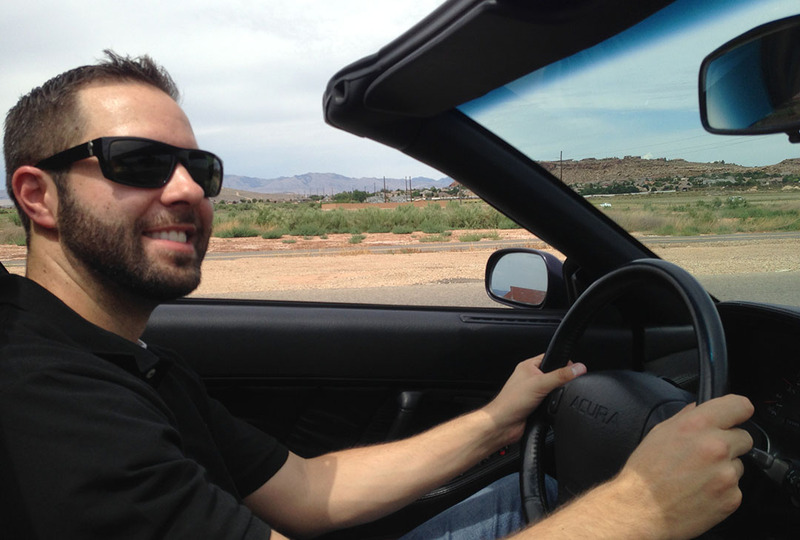 This was also my first time driving an NSX Targa with the top off. It takes just the quick release of a latch on either side of the top to remove it for easy stowage in a compartment above the engine. Thanks to Nate for the quick test-drive! 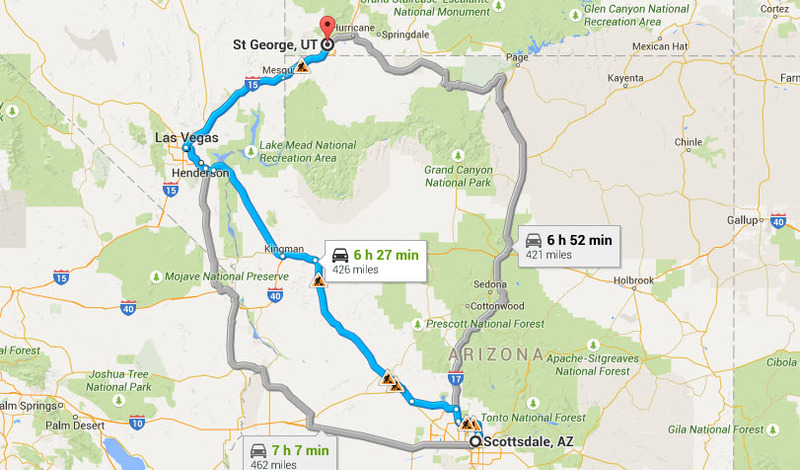 Here are the rest of my photos from this quick trip to southern Utah. I’m impressed: Cody owns a cassette tape! I don’t think I even have one anymore! Another pic from the NSX test-drive. 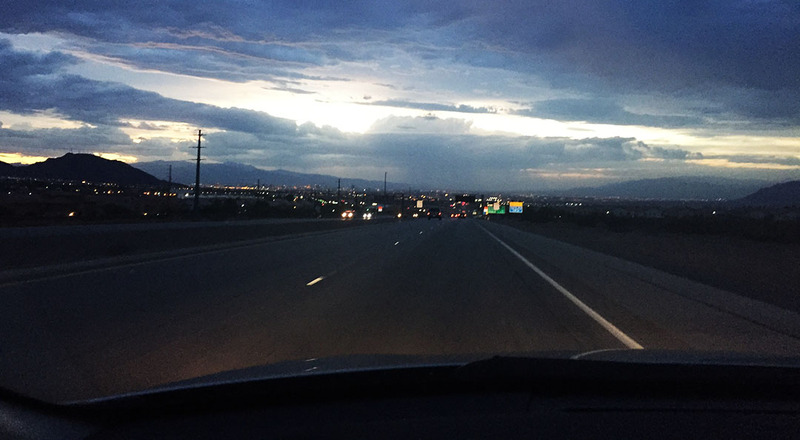 This entry was posted on August 3, 2015 at 5:35 pm and is filed under ILX, NSX, Road Trip, Utah. You can follow any responses to this entry through the RSS 2.0 feed. You can leave a response, or trackback from your own site. The millennium has been kind to us, that’s for sure! Well, we’re still here, so that’s a good sign! 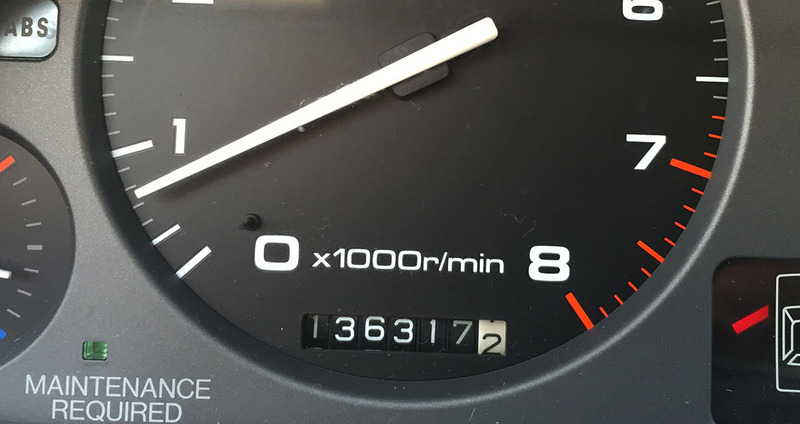 Here’s to 15 more! Seriously, way to knock off some great opportunities all in one trip! Just wait until your 35-year class reunion…. I will be anxious to read what you have to say about THAT! All your classmates will have traded in their mini-vans for mid-life-crisis sports cars, and they will be talking about all their grandkids — and beaming with pride. 🙂 It makes me wonder what YOU’LL be blogging about in 20 more years. Haha, who knows. Let’s not think that far into the future quite yet! You need to start a blog of your own. I want to see what people wrote in YOUR high school yearbook 35 years ago. Awesome write up! 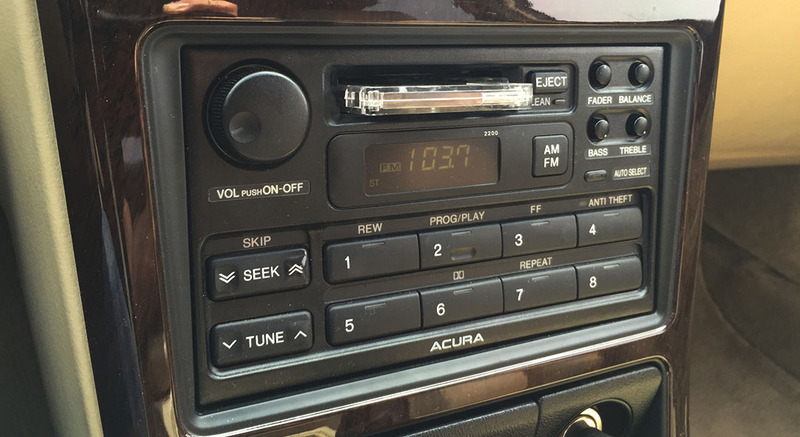 I only have maybe three cassette tapes in my car… one of which came with the car when I got it. Haha nice. That reminds me, the only cassette I have came with my NSX. It’s the Top Gun soundtrack and it stays with the car always. Sounds like a fun couple of days! I remember still using floppy discs in middle school. Hard to believe I’m coming up on five years out of high school. Those were the days! You’re so young! Will your class be doing a 5-year get-together? Hope you have a great weekend! Probably something small, maybe like a bar night in Boston or something. Depends on what the class officers decide (if they care to do so). I’m picking up a new Buick Regal GS for 24 hours (Buick’s running a 24-hr test drive promotion) this afternoon and I’ve taken the beginning of next week off work to hang out with some friends, so it should be a fun long weekend. Have a great weekend too! DANG!!!! Acura only painted 6 of those? Wow. Hard to believe they would only paint that few a number!! Well, technically they painted more than just the 6 in Midnight Purple, but only 6 got this specific combination of eng / trans. I’m really surprised too! Nice write-up Tyson. Thanks for stopping by. 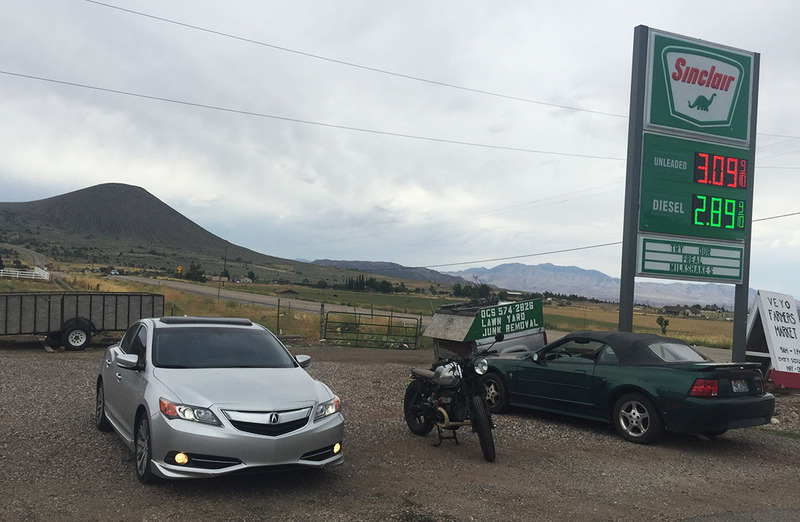 It was nice to meet the Acura legend (you, not the car) my wife had been talking about the whole time. Stop by anytime and take the NSX for the spin again if you like. You were right about the steering column. It was an easy fix. Hopefully I’ll have it looking even better next time you’re in town. Hey, Nate! Thanks for reading and a HUGE thanks for trusting me with the keys to your NSX-T. I’ve been meaning to drive my red one up to St. G so I’ll drop a line when that happens. We’ll get Cody to come out and join us for a little drive.